The sixties, a time of social upheaval punctuated by the struggle of North American Africans to create Black political and social institutions, that advanced Black values, and promoted Black collective interest birthed, an affirmation, “Black is Beautiful”. It was a declaration of racial pride and a new lens for viewing, embracing, and voicing the Black experience in America. The Black Arts Movement, (BAM), confined on paper to the late sixties and early seventies, is the mantel for a collective body of works both political and artistic that grew out of the efforts of North American Africans to define a black aesthetic that enabled and supported action on issues that compromise(d) the quality of life for marginalized people. It is not possible or even practical to divide the strands of the fabric of BAM as is often attempted, its social, political, and artistic strands, like the elements of Hip Hop, are interrelated and inseparable. BAM changed the world. Its significance was far reaching; it offered another way to look at art as a whole, challenging notions of art for art sake, it moved “art for the people” beyond definitions of “fine” and “folk” art as it encouraged us to re-imagine collective activism while offering successful models for implementing change by the enactment of community service. A cursory look allows one to trace the effect of BAM on global social movements, mobilizing other marginalized populations; its fruits inform(ed) activism on a global scale. The period and its artifacts served as a catalyst for many who continue to create work that draws from and speaks to the continuum of the North American African experience. Kim McMillon organized the conference with the guidance of Marvin X, West Coast BAM progenitor. McMillon said, “The work of the Black Arts movement served as inspiration for many later artists, especially those from marginalized communities, and thus has shaped the flowering of artistic work over the last 40 years.” The conference opened with a gala hosted by Belva Davis at The Merced Art Center. A revolutionary art installation curated by Greg Morozumi honoring Amiri Baraka and his contribution to Black Arts was an integral part of the evening. BAM pioneers and a chorus of activist influenced by BAM presented and preformed before a diverse and appreciative audience over the two-day array of panels, lectures, and cultural offerings. 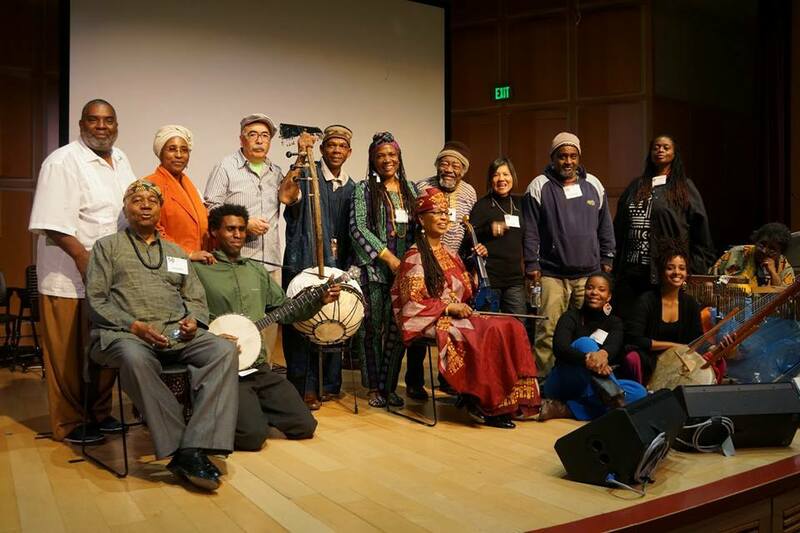 Askia Toure defined BAM as, “a cultural revolution” that inspired an international dialog. Toure spoke on the global focus and dissemination of the twelve major North American African journals that sustained the dynamic discourse of the movement for over a decade. Emory Douglas and Billy X Jennings offered historical overviews of The Black Panther Party, (BPP), tracing the beginnings of many current social programs to the work of BBP. Free clinics, free breakfast, and lunch programs are a legacy of the BPP. Charlotte O’Neal shared how the ethic of service to the people inspired by the BPP lives on in her work in Tanzania. Marvin X Baraka orchestrated an ensemble of poets that included Umar Bin Hassan, Eugene Redmond, Genny Lim, Avotcja, WordSlanger, and musicians, Tarika Lewis, Tacuma King, Earl Davis, and Zana Allen in an exhibition of Sound, Word, and Power. Supported by BAM artists, Greg Morozumi, and others inspired by Merced’s grand tribute to the movement that moved the world; Marvin X is contemplating a BAM tour of the 27 cities that the ever present Amiri Baraka considered the cornerstone of the liminal space the Nation in the Nation. This entry was posted in Black Arts, Life., non fiction essay, North American African Perspective and tagged ayodele wordslanger nzinga, black arts, blk arts, creativity, North American African Perspective, warrior art. Bookmark the permalink.